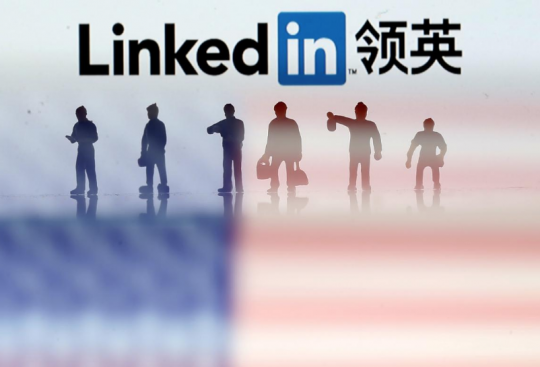 LinkedIn’s head of trust and safety, Paul Rockwell, confirmed the company had been talking to U.S. law enforcement agencies about Chinese espionage efforts. Earlier this month, LinkedIn said it had taken down "less than 40" fake accounts whose users were attempting to contact LinkedIn members associated with unidentified political organizations. Rockwell did not say whether those were Chinese accounts. "We are doing everything we can to identify and stop this activity," Rockwell told Reuters. "We’ve never waited for requests to act and actively identify bad actors and remove bad accounts using information we uncover and intelligence from a variety of sources including government agencies." Rockwell declined to provide numbers of fake accounts associated with Chinese intelligence agencies. He said the company takes "very prompt action to restrict accounts and mitigate and stop any essential damage that can happen" but gave no details. LinkedIn "is a victim here," Evanina said. "I think the cautionary tale … is, ‘You are going to be like Facebook. Do you want to be where Facebook was this past spring with congressional testimony, right?’" he said, referring to lawmakers’ questioning of Facebook CEO Mark Zuckerberg on Russia’s use of Facebook to meddle in the 2016 U.S. elections. U.S. officials said China’s Ministry of State Security has "co-optees" – individuals who are not employed by intelligence agencies but work with them – set up fake accounts to approach potential recruits. The official said "some correlation" has been found between Americans targeted through LinkedIn and data hacked from the Office of Personnel Management, a U.S. government agency, in attacks in 2014 and 2015. This entry was posted in National Security and tagged China, CIA, Intelligence. Bookmark the permalink.